The security of airport runways and terminal requires a large coverage, but simple perimeter monitoring is not sufficient. Potential threats should also be detected, including slow vehicles, pedestrians or dense crowds outside the perimeter, as well as the continuous tracking of intruders after they enter the perimeter. Therefore, there is an urgent need for wide-area monitoring systems that can simultaneously monitor both within and outside the perimeter. The monitoring and management of vehicles, pedestrians and other ground moving objects around the runway is the basis of airport security. Airports are generally equipped with high-definition camera systems to monitor surface movements, but the accuracy of cameras is highly susceptible to weather and environmental conditions. 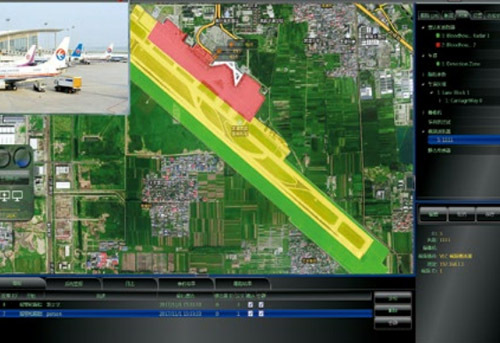 The system architecture of security intelligence radar real monitoring and early warning technology for airport runway and the terminal is more simple, easier to operate, higher efficiency, and can adapt to various environmental conditions of low visibility with the lowest rate of false positives. On the basis of identifying accurately the animal、the official staff, bad guys, it is guaranteed that flight plans are not affected at the most extent.